When quality counts this leather flowered dog collar is on the money. 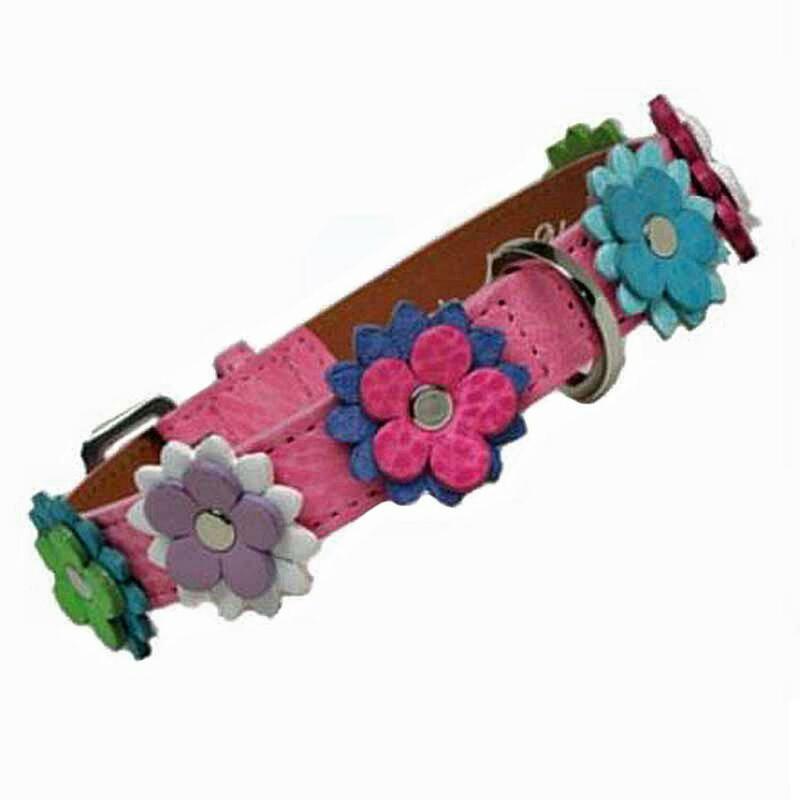 A gorgeous designer collar which can be customized to perfection for your pampered pooch. The random colored leather flowers have hand-painted edges and are secured with a nickel rivet in the center. All of our collars in this collection are lined with fine quality leather as well as painted edges and are stitched to match the leather color. Custom crafted with details in mind and are proudly made in the USA. This designer leather dog collar is offered in a matching custom leather dog leash, custom leather poop bag holder, and a matching leather key fob.